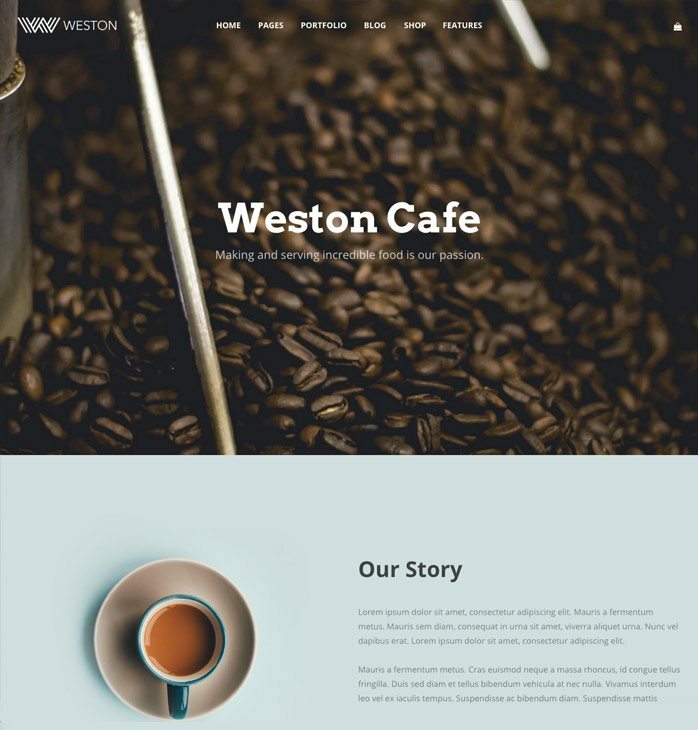 Jump start your content creation with beautiful demo pages, ready to be imported at the click of a button (images included). 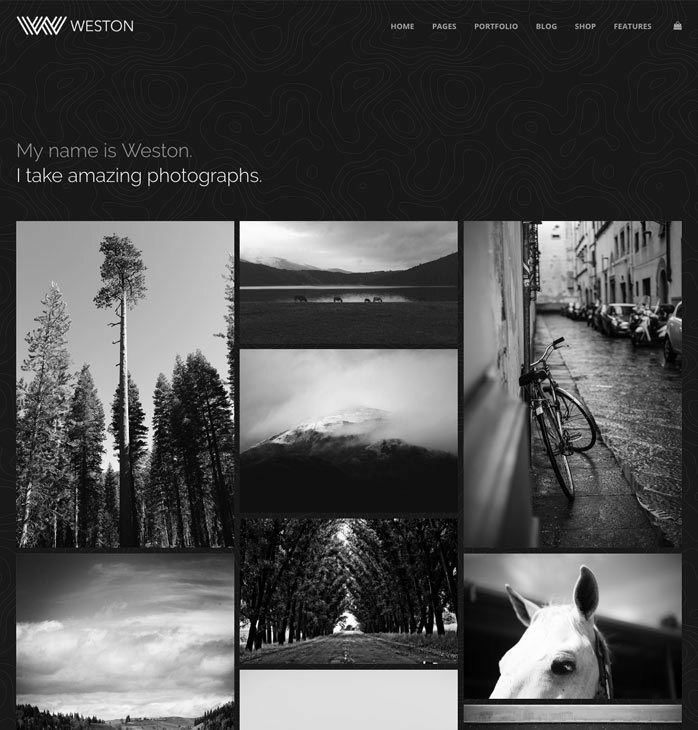 Weston makes it super easy to add a video background to any section on any page. 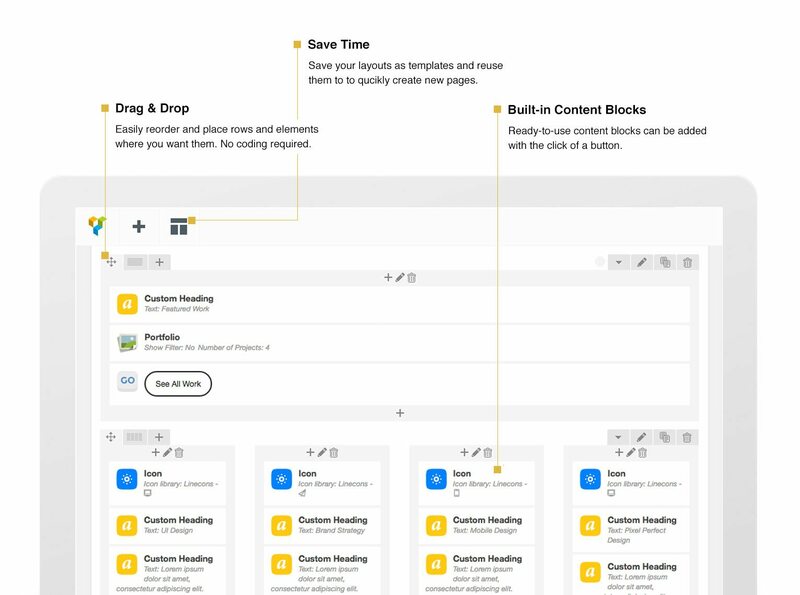 Build your pages with ease, using the #1 page builder on the planet. 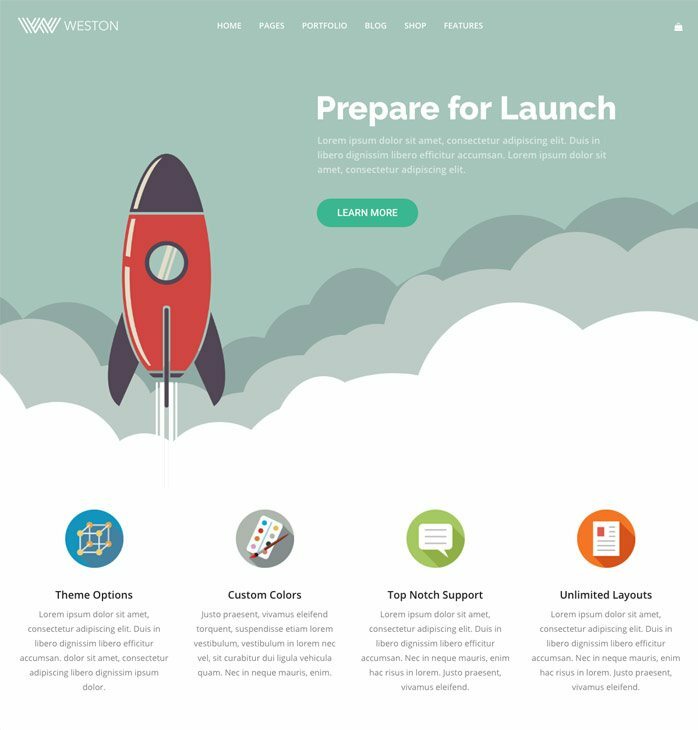 Weston comes with Visual Composer built-in. 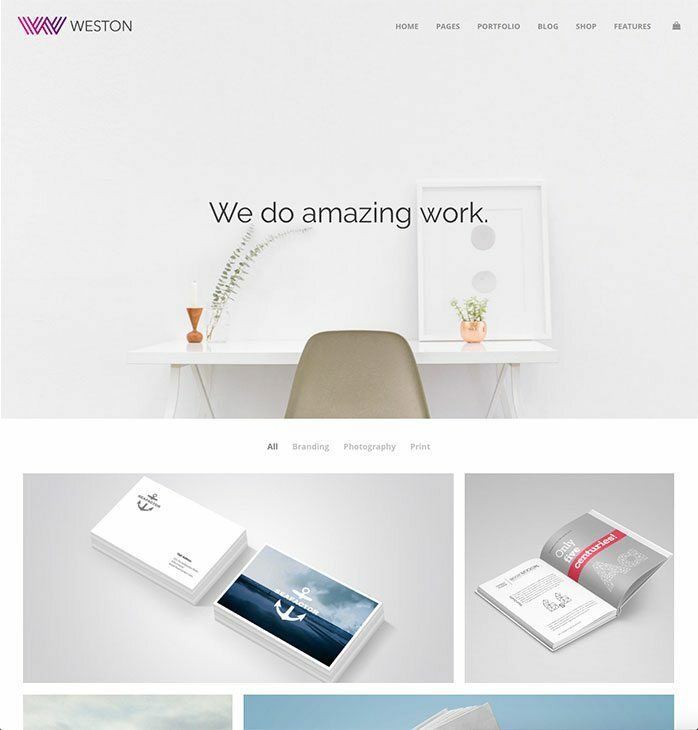 Weston is fully compatible with Woocommerce. 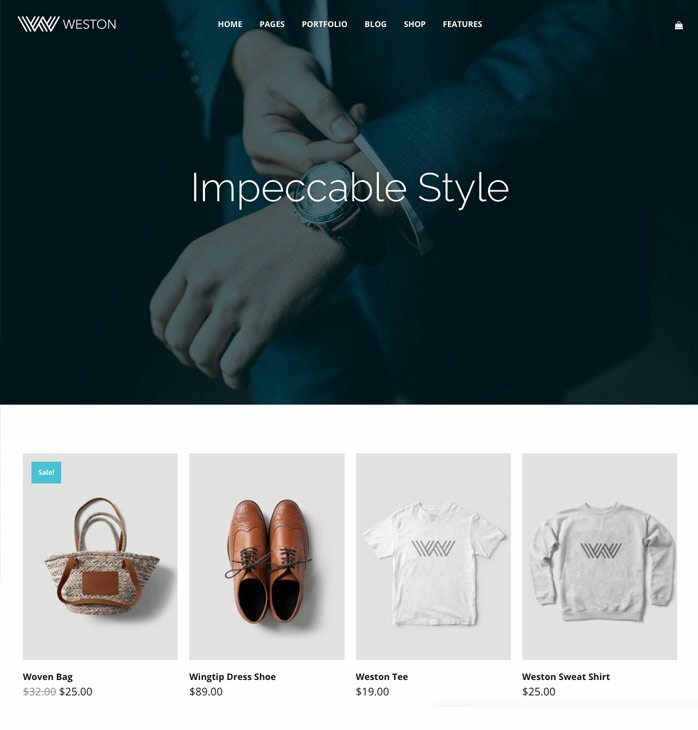 Setup your online shop in no time with powerful e-commerce features and sleek styling. 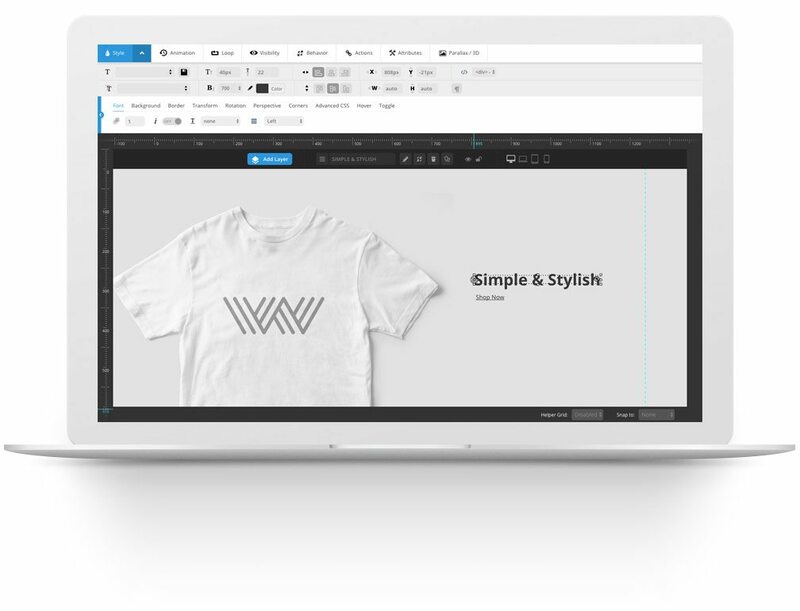 Take control of your content layout and creation with the best page builder available. A $34 value. Comes with the amazing Slider Revolution plugin, an $18 value. Use the intuitive interface to create stunning and engaging slideshows. 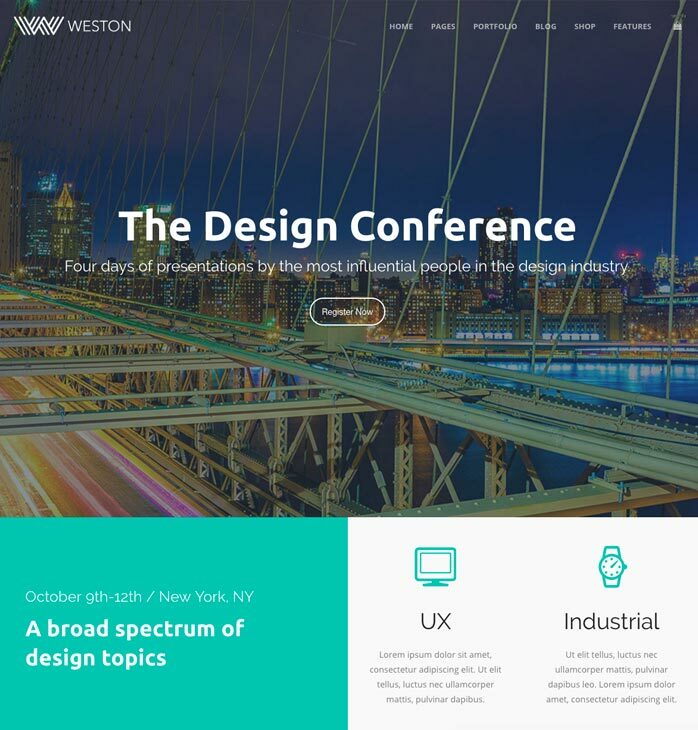 Designed with a responsive layout. Looks amazing on any screen size. Use the one-click demo import to start with the beautiful layouts you see here in the demo. Multiple layout options, hover effects, filtering animations, lightbox, and ajax loading will make your projects look amazing. Easily add video backgrounds, making your site even more engaging to your visitors. Packed with several font based icon libraries for you to choose from. Customize the size and color. Take control of the typography by selecting your favorite Google font from the built-in typography customizer and Visual Composer options. Easily add a parallax image to the background of any section. 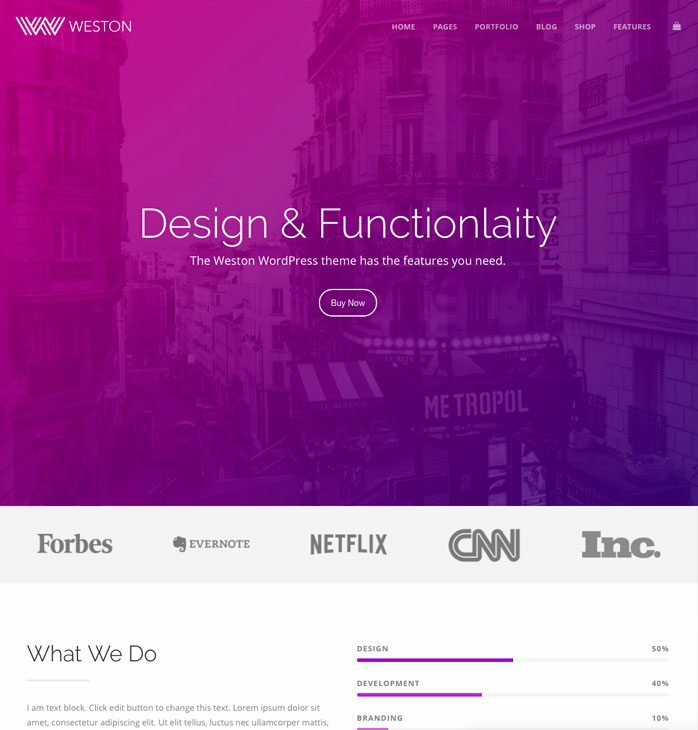 You can set custom colors for just about every aspect of your site, giving you the ability to create truly unique websites. Easily create beautiful pricing tables complete with custom colors. Full compatibility with the awesome Contact Form 7 plugin is baked right in. Need a shop? Seamless Woocommerce support built-in for easy online store setup. 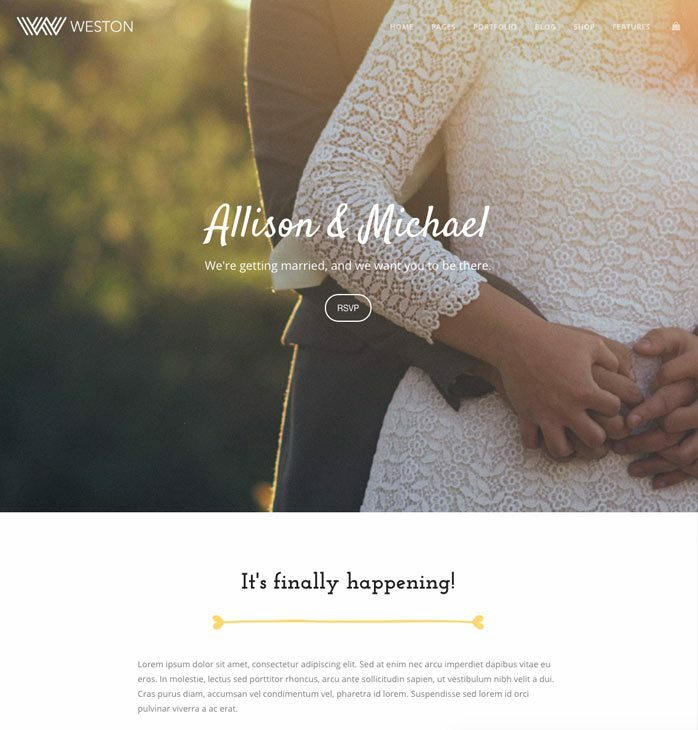 There are several blog layouts to choose from, including standard, masonry, and more. Set a number of options on individual pages, posts, and projects. You can do things like disable the header and footer, or even set a custom menu...and much more. Compatible the WordPress Multilingual Plugin, making it easy to translate your site into different languages. Easily add a Google Map anywhere you want, and give it a unique style. Mega menu built in for those sites that have a lot of pages. You can easily add icons to menu items. 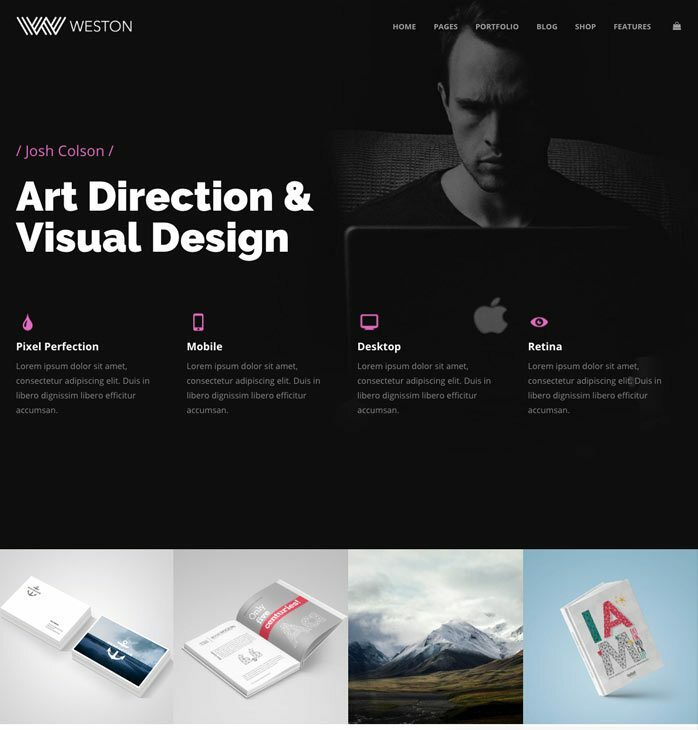 Four different header layouts plus color and other options give you plenty of flexibility. Create custom widget areas and assign them to footers or sidebars on individual pages. 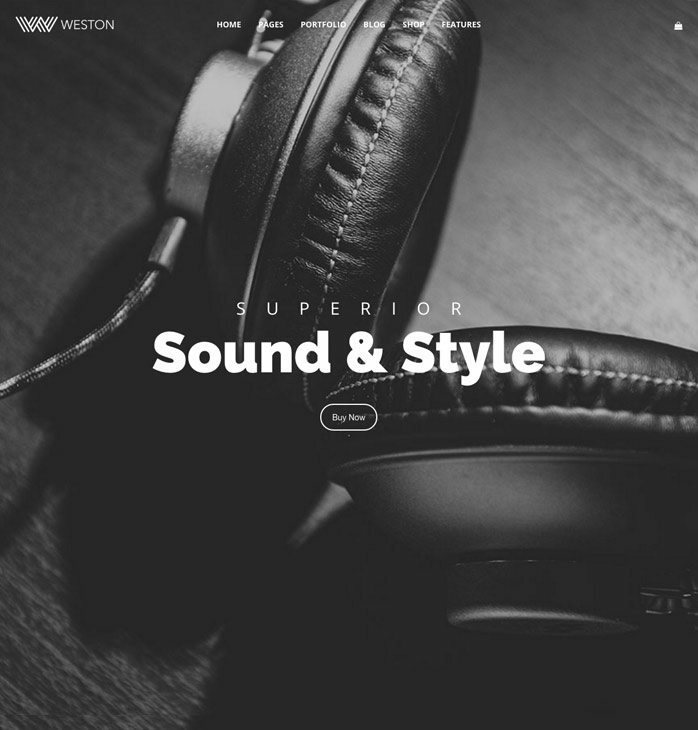 Slider Revolution is the #1 premium slider plugin available, and it comes with Weston for Free. 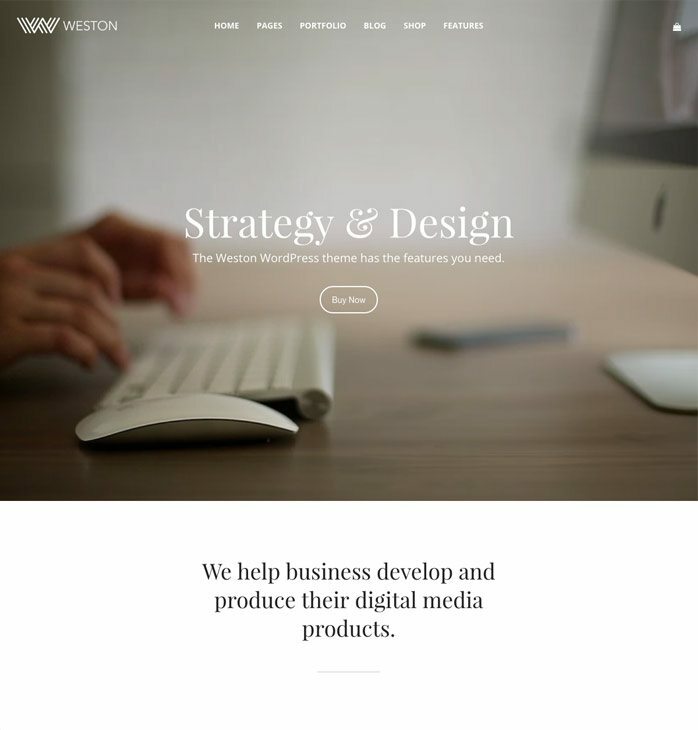 Use it to create engaging slider to highlight your most important content. Build virtually any kind of website.